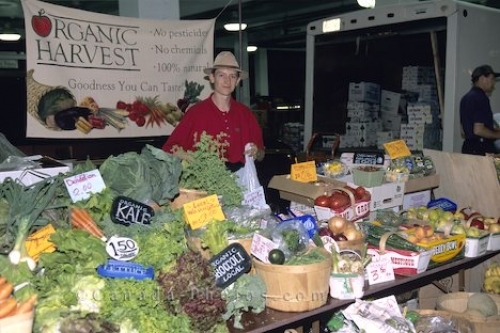 Organic Harvest sold on the Kitchener Farmers Market, Kitchener, Ontario, Canada, North America. Organic Harvest is getting more and more popular as on the Kitchener Farmers Market, Kitchener, Ontario, Canada, North America. Photo of fresh vegetables and fruits on the Kitchener Farmers Market, Kitchener, Ontario, Canada, North America.